Kickstart your career in the fitness with this Certificate III in Fitness (SIS30315) from the Australian Institute of Fitness (AIPT) – designed to give you the hands-on experience needed to enter the fitness industry! This accredited course in fitness gives you the flexibility to complete the theory component in the comfort of your own home, while the practical component of your course will be taught by fitness professionals, in gyms, at a campus location near you. With this course you can choose to specialise as a Group Exercise Instructor or Gym Instructor, either way, you’ll receive a practical way of training to ensure you have the skills, confidence and know-how to help clients achieve their fitness goals. By opting to specialise in group exercise instruction, you’ll be able to demonstrate and lead a variety of sessions for a mix of ages and fitness levels. These sessions may be freestyle, pre-choreographed or circuit style. While group sessions have less individual interaction, you are there to ensure participants work up a sweat and get results! Does poor form make you sad? Make your specialisation in gym instruction and ensure a safe workout zone that’ll give real rewards and benefits. 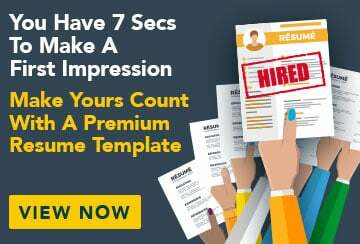 Learn to offer gym clients tailored assessments, technique correction and how to develop and demonstrate programs, as well as how to maintain a gym facility and handle customer enquiries. To successfully complete this course, you must undertake a total of 30 hours of practical work experience with a mentor in order to gain real-world skills. AIPT will pair you with one of their expert mentors – a fitness professional – in their gym or fitness studio. Alternatively, you will have the opportunity to select your own AIPT-approved mentor. Internet: High-speed internet such as Broadband or ADSL, T1/T2, fibre optic or cable (Dial-up access will be significantly slower and is not recommended). This course contains a core unit, HLTAID003 Provide first aid, which must be completed through an external RTO. Australian Institute of Personal Trainers has an agreement in place with Red Cross Australia (RTOID 3605) which allows students to receive training for this unit at a reduced price. Red Cross Australia is a third party training provider who conduct training and assessment services on behalf of the Australian Institute of Personal Trainers. Please note that the cost of this external training is not included in any of your course fees. Upon completion, you will need to submit a copy of your first aid certificate in order for us to process a Credit Transfer against this unit on your student record. If you have chosen your own third party provider, you must submit a certified copy of your certificate. If you have undertaken training with Red Cross Australia, you must forward Australian Institute of Personal Trainers the email you receive which contains the electronic copy of your certificate. 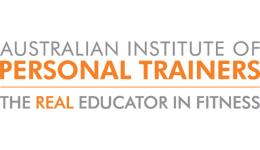 Upon successful completion of this course, you will receive a nationally recognised, accredited Certificate III in Fitness (SIS30315) from the Australian Institute of Personal Trainers (AIPT). This course is based in Australian Capital Territory, New South Wales, Queensland, South Australia, Tasmania, Victoria and Western Australia. Where are you located?